I did these sketches a while back and didn't have the time to finish the concepts. I wanted to lay some rough colors down to decide which concept to fully render. In the end I chose the concept that follows. I really liked this concept out of the others. It had a unique feeling. 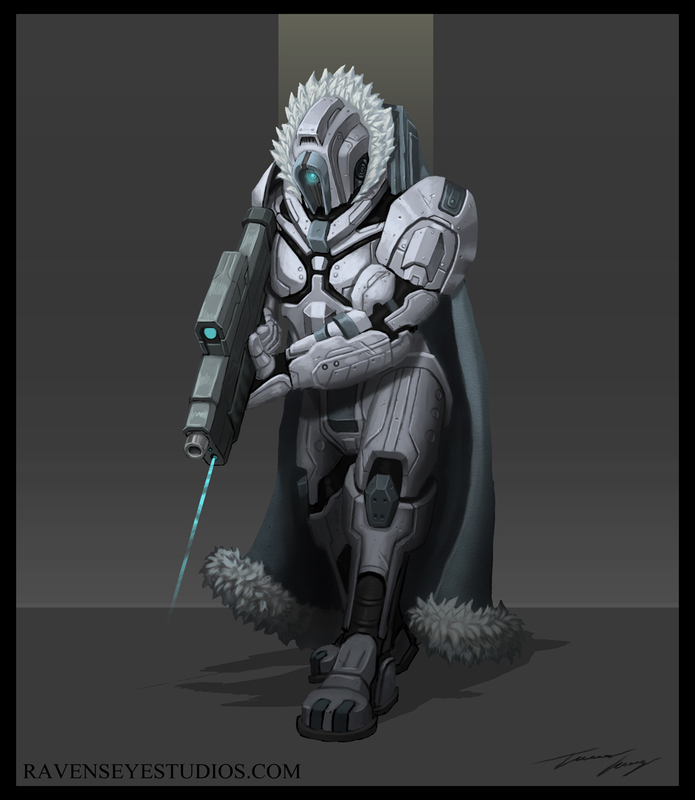 of a Sci fi bounty hunter from a very cold planet. Before committing to the original color scheme. Even though I really liked the idea of the artic bounty hunter look. I wanted to be sure to check some alterations. See if anything else felt nice in designing this character. In the end I stuck with my gut and the original color scheme. Last but not least. The other bounty hunter roughs before the final render.